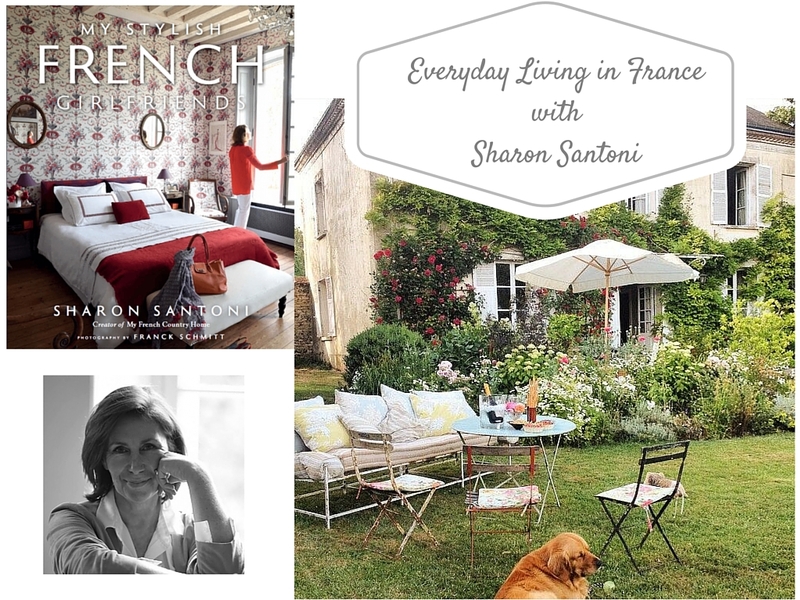 “My French Country Home is about French country living; about keeping it simple; it is about family life; it is about popping into Paris for the day; it is about living with those dogs; about my love of brocante and most of all it is about seeing everyday beauty.”—blogger & author Sharon Santoni The opportunity to […] Listen now or continue reading below. The opportunity to meet a kindred individual doesn’t occur but once in awhile, but when it does there is an unspoken understanding and genuine affection and appreciation for how each other lives their everyday lives. 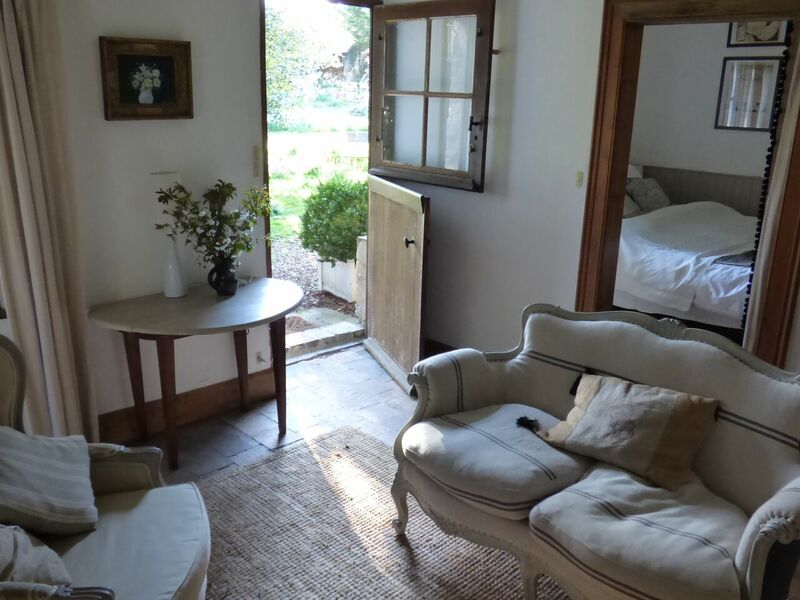 Such was the case when I connected with blogger and author Sharon Santoni who resides in a delightful country abode in Normandy, France. 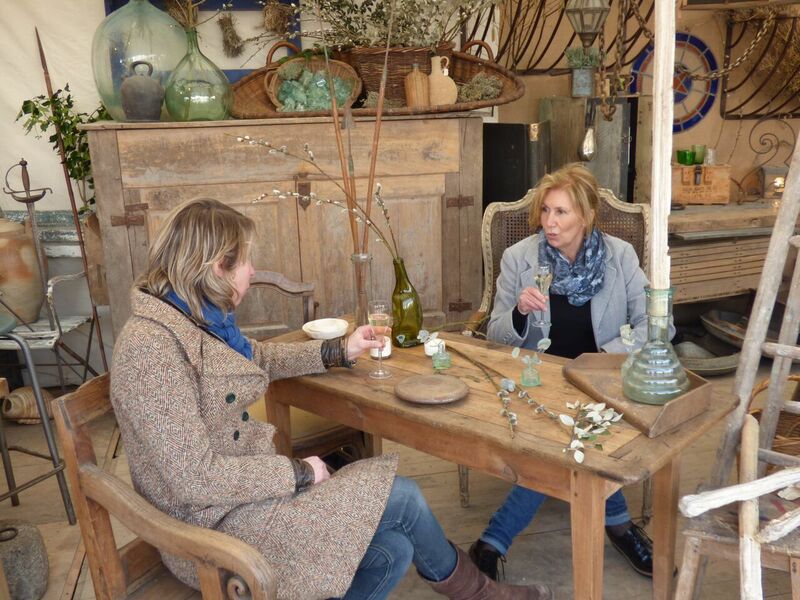 As an avid fan of her blog My French Country Home, I invited her to join me on TSLL podcast, The Simple Sophisticate and discuss everyday living in France, the art of brocante collecting, what ingredients make a happy, passionate life and much more. To my delight she said yes, and after we both had sat down on our respective sides of the pond, making sure to have beside each of us a hot cup of tea, we began discussing the 20 stylish French girlfriends she profiles in her new book My Stylish French Girlfriends, how to discover and pursue your passion and of course all things French. Tune in to our conversation on iTunes, Stitcher, TSLL App in iTunes or GooglePlay or here on the blog (below). As promised in the episode, Sharon has shared below a handful of pictures of her everyday life in France. 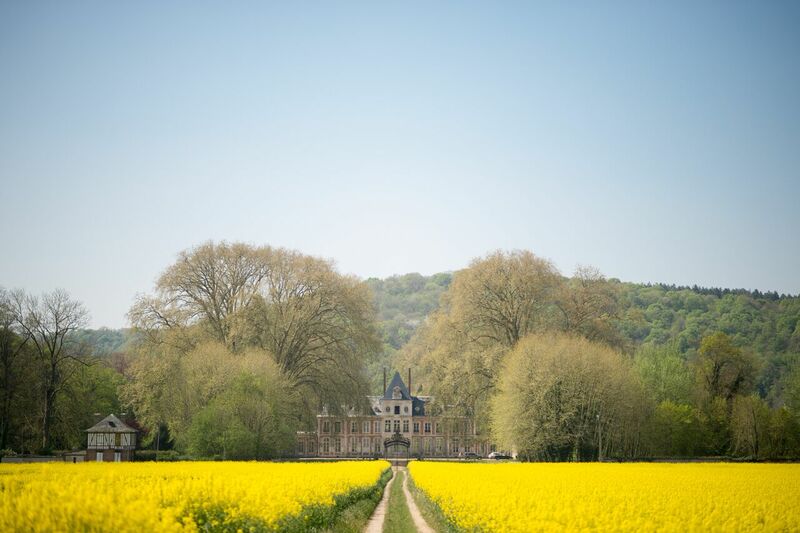 Taking us to summer in Normandy, enjoy stepping into the picturesque countryside of northern France. Additionally, Sharon is graciously offering to give away a copy of her new book, which was profiled on the podcast last fall here (episode #64). To enter, share a comment below on this blog post along with your email address where we can reach you should you be the lucky winner. Be sure to enter by Sunday April 3rd at noon (PDT). Bon chance! 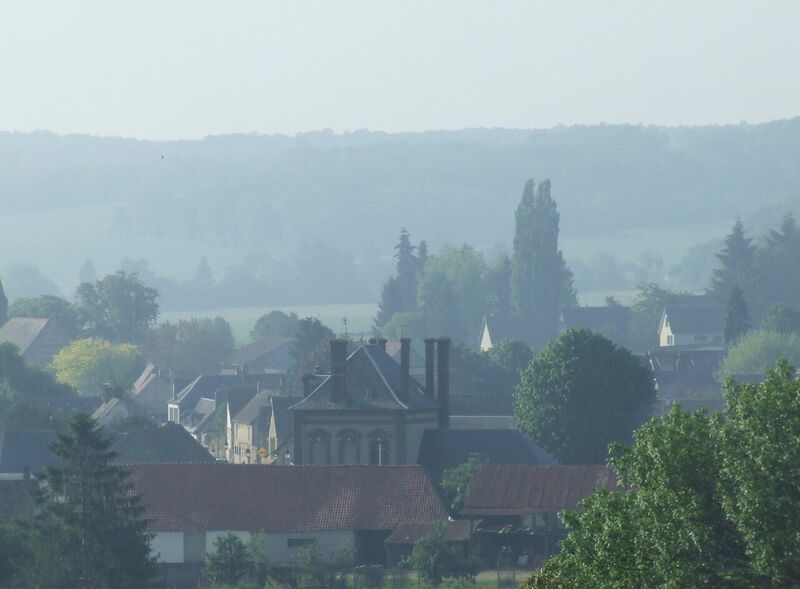 ~BELOW: A glimpse of an everyday in Normandy, France, with author and blogger Sharon Santoni (captions and pictures are her own). Wonderful blog. As I am sitting here recovering from surgery, I am transported to France and dreaming of the lovely days ahead. 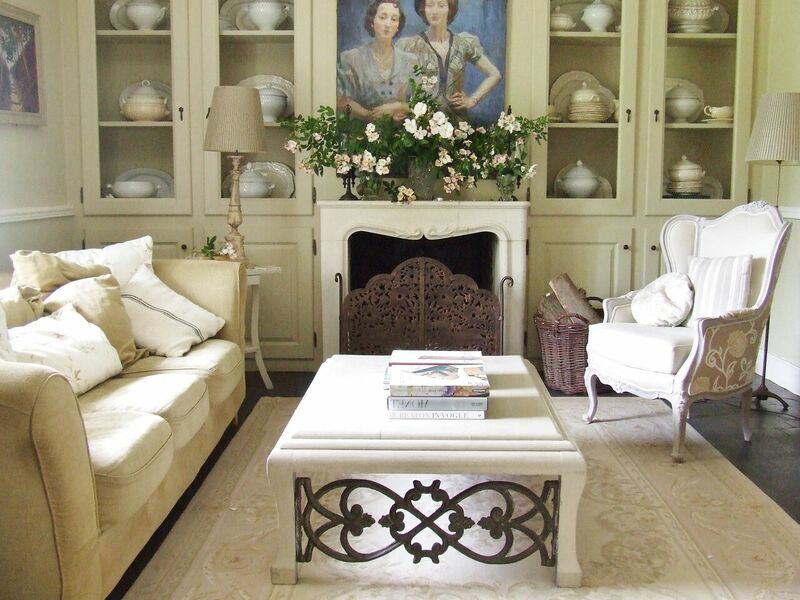 Your house is really beautiful, Sharon and I really enjoyed the video of the Chatou Antique Fair. One day I will visit it myself I hope. I would like to move to France, maybe the Charente Maritime area where I have spent many wonderful holidays. I love France and hope I would make many new friends there. Meanwhile your book would be very inspiring to me. Sharon Santoni’s blog is another favorite and a must read. This is delightful! I love all the flowers and bright, clean colors. Just gorgeous. Transported via the web — WOW! Great way to start the day. Such creative women. I enjoy your blog and MFCH very much. What a great giveaway !!! Lovely post on Sharon! I have been following her for over a year and her blog and book are simply wonderful! I am very excited to become a part of The Simply Luxurious Life blog family! So beautiful……I have never been to France so it is wonderful to see your beautiful decor and countryside. Thank you for sharing! I’ve just recently found Sharon’s blog – so lovely! I suspect her book must be wonderful, too! Thanks for the chance to win a copy. Off now to pour over your blog now….. I am so fortunate to have found Sharon’s blog. Since I have never visited France, I so appreciate the sharing of her wonderful life. And, through her blog, I now can enrich my life by sharing your blog. Winning Sharon’s book would make me very happy. I recently started following Sharon and My French Country Hone and through her was thrilled to find your blog/podcasts. I love everything French and appreciate the qualities both of you have. I continue to read to acquaint in my dreams what I will someday make my own reality. Sharon is so supportive of her friends. She is such a dear. The best of two of my favorite blogs! 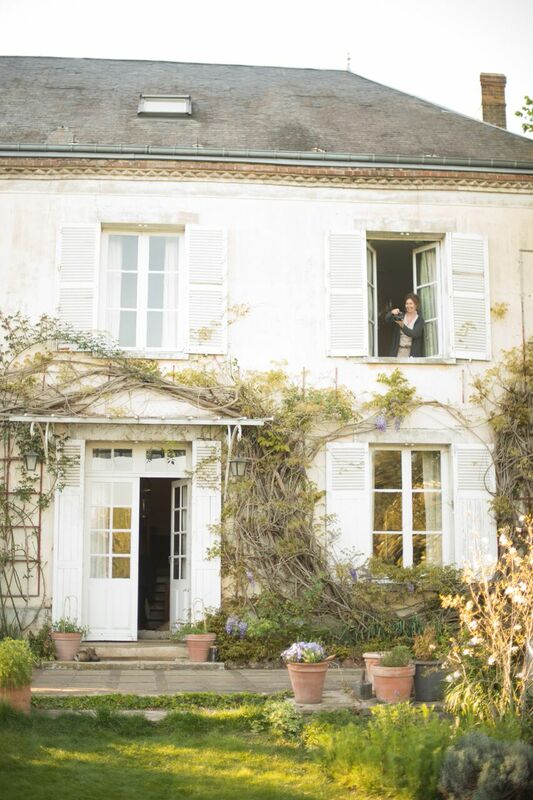 It’s a treat to read this and learn more about French country living. France is one of my favorite places, and I hope to return someday soon. Thank you for a great way to start the week! Rekindled many cherished memories visiting France. The house and gardens looks so beautiful. Inspirational. So refreshing to listen to two women focused on ideas associated with making the most of life within one’s means. Another fabulous example of a simply luxururious life, Sharon’s blog is inspiring and her passion for life is infectious. I am fortunate enough to have chatted to her several times and she is every bit as lovely as this post and podcast suggests. 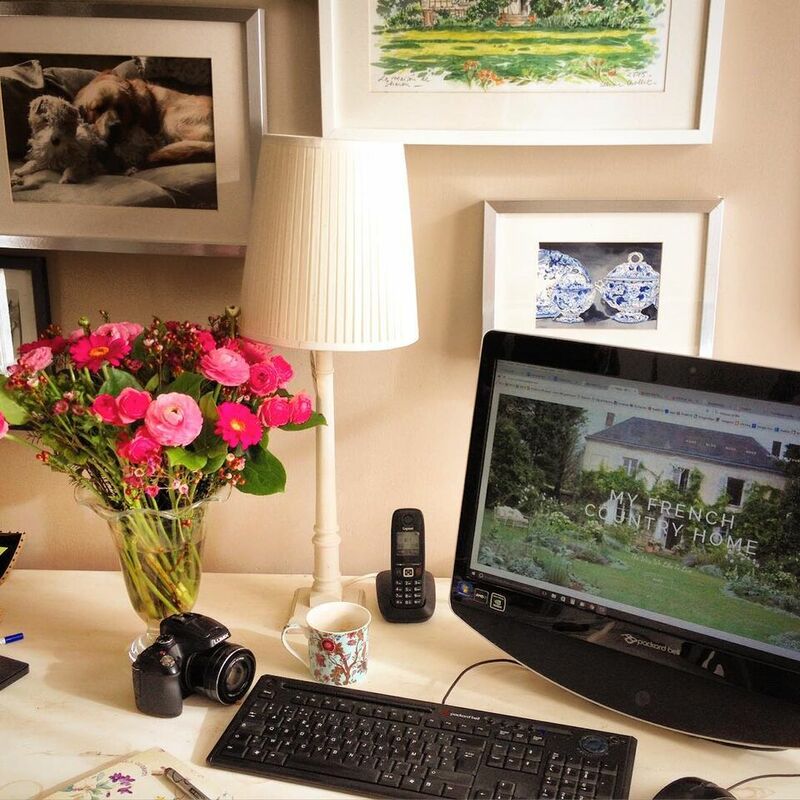 Thrilled to discover thesimplyluxuriouslife blog! Love that Ms. Ables is an American English teacher, continue to teach those kiddos the sky is the limit! Just discovered I entered my email incorrectly! Perhaps, I need a lesson from the teacher!!! This is lovely and so inspirational. Thank you both for getting together and sharing your lives with us. Have travelled a lot in France but Normandy is the best. Was near Falaise last week staying in a house identical to Sharon’s. 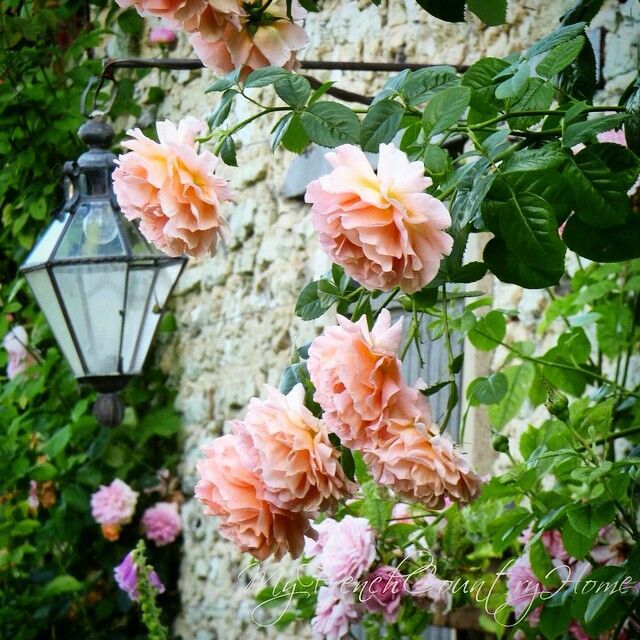 I love her blogs as they transport me back to Normandy and her photographs are stunning. Love Sharon’s blog and would love to go on one of her tours. Thank-you! Thank you so much for featuring Sharon and her wonderful lifestyle! I so look forward to visiting France in the near future! Pleasure listening to this discussion with Sharon santoni. 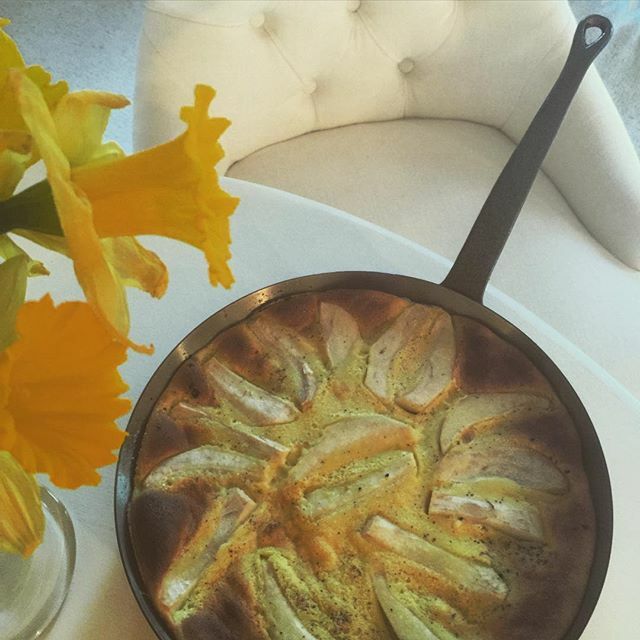 Love her blog and especially enjoyed the beautiful pictures you provided with the blog cast. You, Shannon and Sharon did a wonderful job sharing all good things about French living. So enjoyable.thank you. So beautiful, it just makes me sigh….. Loved listening to your conversation! I sat down with my coffee this morning and listened. I felt like I was sitting with y’all in my home state of Alabama! Thanks for starting off my day in such a lovely way! Living vicariously through all my French girlfriend blogs! Now the book…… What fun! 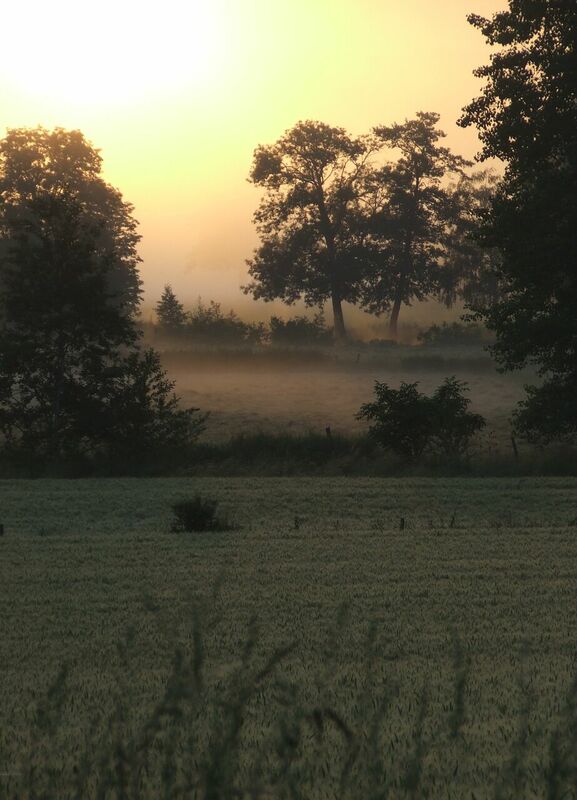 I follow Sharon’s blog – adore each and every image and her descriptive writings of days in the country. The flea marketing sends me over the edge. Thank you for sharing this interview! Would love to get my hands on her book! Thank you for the podcast. It was so nice to hear your voice. Your blog is very beautiful. I have enjoyed Sharon’s blog for some time now. Both of your blogs are in my top 10 to read each week. Thank you for both of them! Someday I will live my dream of visiting France. But for now I live through Sharon’s blog. Love everything French! Having studied in France in college and backpacking around Europe after grad school w Paris being our starting and ending points, I am completely in love with everything French. It has also been a treat for me to have recently met two local French chefs, Susan Holding (WI) and Wini Moranville (IA), and I have both their cookbooks (The Little French Bakery and The Bonne Femm Cookbook)…absolutely lovely! Listening and reading your blog, in addition to reading and watching Sharon’s, brings France even closer to home. J’adore et merci! I was not familiar with Sharon’s blog, although I remember you mentioning her book! I would love to read it and am looking forward to reading her blog. Thank you both for sharing. If I could just have a half dozen of those lovely unblemished pomegranates I would be so happy. Then again, I might be even happier with a copy of Sharon’s book. I will enjoy a clairvoyant trip to France while relaxing in my wicker deck chair on my own porch in the mountains of NC. Impressed and thrilled to learn about this fabulous blog site and pod cast! Just when I thought I was faithfully following all the best bloggers I learn that I have only scratched the surface. Thank you both again for such a delightful get together of incredible talent! 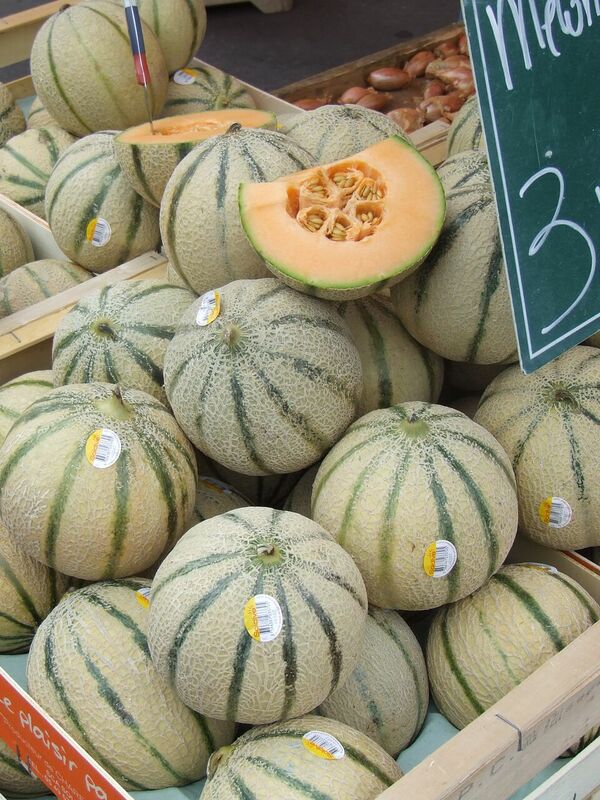 I love Sharon’s blog and getting her perspective on all things French. i love finding other people to follow as well, that are also very creative. i would love a copy of her book to read and share with others in my area. we are all big fans! I will look forward to reading your blog. Reading the words and seeing the beautiful pictures puts me in a whole new wonderful frame of mind – thank you. Sharon, through her blog, has enriched my life! I am so grateful she shares so much beauty with us! Now I have another blog to add to my favorites! Thanks Shannon for the interview and great giveaway!! Your podcast is a delight and transports me every week. My dream is to travel to France and paint. I’ve heard the light there is like none other. Would love to be selected for Sharon’s book. It’s been on my “Must Read” list since I first heard of it on her blog! Thank you both for the offer! Ooh I want to read this so very much! What a wonderful podcast! I found your blog by following Sharon’s beautiful blog! I am looking forward to reading yours for inspiration as well. I would love to win Sharon’s book to read as I try to find inspiration as a reinvent myself. What beautiful pictures!! I would just die living in the house! What a dream! Thank you for this interview! It really was a treat and added something wonderful to my busy Monday. A lovely post and excited about the book giveaway!? Thanks Shannon and Sharon for letting us eavesdrop on your very interesting and inspiring conversation. It was definitely a petit plaisir to hear and see the photos and video this morning? What a lovely blog! Thank you, Shannon, for the introduction! Merci for this wonderful podcast. I love Sharon’s blog and this interview was a real treat! I listened to this as I was weaving a tapestry and it made my Monday morning a delight. So nice to hear more about daily living in your busy life. You certainly have a voice and inflection to match the title of your blog…. Both you and Sharon… So nice to listen to this podcast.. I love Sharon’s blog and so glad you did this interview. What an inspiration. It would be such a joy to win the book. This was such a lovely podcast and blog post! Thanks for doing this! Am absolutely smitten with both of your blogs and style! Have been wanting a copy of Sharons book since its release. Thank you for the opportunity to possibly own this scrumptious book. I would love to stay in that guest cottage! Looks so peaceful. This interview was the soundtrack to my Monday morning workout. I was transported and hardly noticed the time passing as I made my way through my typical gym routine. Beautiful! Thank you! What a lovely way to lose track of time. Thank you for tuning in! Loved the podcast today! I felt like we were sitting around the table and having tea together! Thank you for the enjoyable insight into Sharon Santoni’s life. Her book sounds wonderful and inspiring! I enjoyed the interview Shannon. The part where Sharon took us through a sample of her video series didn’t need visuals, but I’m so glad I checked out the photos on this blog post to supplement. I have my eye on a chaise lounge in the style of some of her furniture. Enjoyed the podcast with Sharon, and I’d love to win a copy of her book. I so enjoyed this episode! Thank you! I would love to have a copy of Mrs. Santorini’s book. This interview was such an unexpected treat! I downloaded Sharon’s book on my kindle a few months ago and have always wanted the hard copy because I was so inspired by it! What a lovely interview! I would absolutely love to read her book. Who wouldn’t want 20 stylish french girlfriends, after all! Thank you for sharing this special lady with us! Loved the interview and really enjoyed Sharon’s perspective and approach to living a full and beautiful life. A friend introduced me to her and I fell in love with the lifestyle. I can hardly wait to introduce aspects into my home too. It was also wonderful to hear about your experiences and bond over living simple but passionate lives. Thank you both for spending time with me this evening and for your advice and encouragement. Shannon and Sharon – your blogs are wonderful! They really transport me to France/ other beautiful places. I would love to have stylish girlfriends like this too and look forward to reading this book soon. Thank you Shannon, for another thought-provoking topic and a lovely way to spend some time. I always look forward to your posts, podcasts and interviews. Well done! What a great blog… Glad I found it through Sharon’s!! Looking forward to perusing the rest of your blog!! OH LA LA, I got here from Sharon’s blog, been following Sharon for years….you website is FABULOUS, been here all afternoon cocooning in Florida…..looking at purses, I need a new purse….all the perfect white Tee’s by your suggestion are sold out, BOO….I am so HAPPY Sharon shared your site! LOVE IT !!! I love Sharon’s video vlogs, so beautifully produced. Her gorgeous guest house is to die for! I am living my passion,even though my finances are limited. I have learned to listen, be very selective with magazine purchases,( lots and lots of ideas! ), and to gain wonderful insight into the French way of life. This, in part, due to Sharon’s wonderful blog. I scour antique markets throughout Southern Ontario and am surprised by the wonderful items I find that replicate wonderful interiors of French homes. They may not be the real mccoy French antiques, but my heart is so happy to walk into my home and feel this happy! Thank you, Sharon, for being part of my French joie de vivre1 I would so love your book! What a lovely way to start my Monday morning! I’ve been following both of your blogs for a while now — and while I downloaded Sharon’s book on my kindle, I’ve had the hard copy on my ‘wish list’ since I first looked at the book. Thank you both for your inspiration! Really enjoyed your blog and am so excited about your great giveaway! I have just discovered your blog & am thrilled to find so many wonderful posts on topics that I love – including France! Can’t wait to enjoy this podcast. And if I am lucky enough to win the gorgeous books – thank you. I simply adore all things France. Being a working mom of five, everyday life is crazy and so faced paced. Looking at blogs like the two of yours is always a calming break from the world. It also inspires me to embrace simplicity and the luxurious things in life. I enjoy your blog and Susan’s. I have read Susan’s book when I found it in our library and enjoyed the pictures and stories. I live in Wisconsin where we have long winters. Your blogs, books, and podcasts help me believe the sun will shine and bring warmth again. I enjoy seeing the beautiful pictures you post and learning about France and LOVE your sharing how to live a happier more fulfilling life by believing in yourself and being yourself. By developing your own personality and confidence you develope your own unique style. I have been to Paris once in my life many years ago and fell in love with the city. I did not learn until many years after my visit that my Great Great Grandfather Joel Jehru had imigrated from Paris to the United States. I’m so happy I have that connection! I discovered Sharon’s blog several years ago and it went to the top of my reading list! Inspiring, instructive, and inviting: it makes me dream in big ways. This was so absolutely inspiring! I love your book Shannon and look forward to learning more about Sharon’s wonderful style. I have been following Sharon’s blog for a while and look forward to each update that comes along. It keps me connected to our wonderful one month trip in 2013 (feels so long ago but this blog takes me right back like it was a week ago!) I am sure that her book would be a lovely addition to my coffee table. Loved the interview! I always look forward to the Monday morning podcast, always a treat! Lovely way to start the week! I have read Sharon’s blog for quite a few years now and love how she has introduced me to many interesting and beautiful things over the years. And here is another example of that – I have found you! I would love a copy of her book – a treat to myself for my birthday. Have been reading Sharon Santoni for a long time and it’s always nice to be recommended to another interesting blog by someone whose writing I enjoy. Shannon you are another addition to my blog roll. Thrilled to have you stop by! Welcome! I have followed Sharon and My French Country Home for several years now and hearing Sharons voice completes the picture.It is a wonderfull inspiring interview,Thank You. Now that I have finished helping a friend put his childrens TV series onto DVD so that it will not be lost what next? perhaps France? Lovely to put a voice to your blog, Sharon – but also appreciate the reminder to respect the privacy of you & your family. A fine line….which you are managing beautifully! Inspiring way to start the day! Thank you for sharing and for giving us insights into the balancing act that the pursue of passion requires. Merci! A stay in Sharon’s beautiful guest house is a dream of mine that I hope someday I can make come true. Thanks for sharing so much beauty with us-it is such an inspiration! Such lovely pictures! Thank you for sharing with us! I have recently stumbled into your blog, and I am so taken with your philosophy of life; I wish I had found you years ago. Sharon’s book looks to be a lovely way to explore and learn more about French life style. I would love to win a copy. Thank you so much for this episode. It resonated with me on several counts. First, it is a goal of my husband and I to live for at least three months in the same area of France as Sharon resides in. Second, she spoke to a current challenge of mine as I transition from a long career of full time mothering to one of pursuing my own creative endeavors. Finally, I thoroughly enjoyed the Antique Fair video, as antiques are another of my delights. I look forward to perusing her blog. Thanks for the podcast Shannon. Thank you again and again for this lovely talk! Hi, loved podcast #96 and hoping to win Sharon’s Book! pics are so lovely, especially the dogs!!! Hello. This looks like an amazing blog that I want to thank Sharon for sharing. I want to follow it. Your and Sharon’s blog are both so inspirational. Everyday life can be as magical as one makes it. I would love to win the book! Such a great post and opporunity to discover a new fantastic blog I didn’t know! Normandy is such a beautiful place with a one-of-a-kind art de vivre! My brother in law comes from Normandy and I can tell you that people from Normandy know how to master French cuisine! This podcast makes me want to move to Normandy immediately! I’m so in love with France! Thank you Shannon for continuing to introduce us to new people and books that inspire me! Great interview. Sharon Santoni is living the life! Really great content as usual. Thanks Shannon! I would love to have a copy of your book and dream that I am in France once again. I would love for you to help me design my house, but since that is not possible, your book would help me use your expertise to make my dream a reality. I do FOLLOW her have for YEARS………and SHE has done something with HER LIFE that A LOT of people would envy!I have been on one of HER tours and she is just as kind and gracious as she comes across!Those DOGS……..are D I V I N E as well. Off to grab a coffee and then sit and listen to your interview! Such beautiful pictures! I would love to read her book. I Have spent hours on this rainy day poring over the beautiful images in your blog and on Sharon’s site. I love the watercolor vignettes ! I so enjoy both of your blogs. They definitely speak to my inner Francophile! Appreciated Sharon’s sharing her philosophy of finding one’s creative passion and pursuing it during the interview–great advice. Well done, ladies! I would love to be selected to receive a copy of Sharon’s book. She’s living my dream life! Thank you so much for sharing this interview and introducing me to Sharon’s blog. The photos that are included are amazing and make me want to return to France soon. Please enter me in the give away. I have been enjoying all your podcasts. it is a great way to start my morning. Thank you! I so enjoyed the wonderful conversation you had with Sharon! Thank you for bringing so much beauty into the moments I spend with you. I love the girlfriend theme of her new book & would cherish it! Just stumbled across your blog! I would love to win the book. Thank you for the opportunity. I really enjoyed the podcast! I wasn’t familiar with Sharon or her blog before this podcast / post. She is lovely! Thanks for the introduction! Merci for bringing all you do. Your thoughtful podcast inspires and makes me go hmmmm sometimes. Today I was transported to France on my drive to work. What a way to pass the time. I have now added you to my favorites..
Love Sharon’s blog and I am a faithful follower of hers.. It would be a dream to win her book; I have viewed it at a local private bookstore but beyond my budget. It is truly a great book and Sharon is always so front and center with her kind gently personality. Love the photos of her home. I have seem most of her home but never inside the guest house. Your posts seem very inviting as well so I will be back tomorrow. Bon Nuit! Loved the podcast and love Sharon! Thanks for sharing! Thank you for the opportunity to win this lovely book! I already follow both of your blogs for inspiration! Thank you for this opportunity to bring a little more inspiration to my reading. Love, love, love. I have been following Sharon for awhile on facebook and her pictures inspire me every single day. I am living vicariously through her adventure! Congratulations! You are the lucky winner of Sharon’s book! Thank you for stopping by! Email me with your contact information. 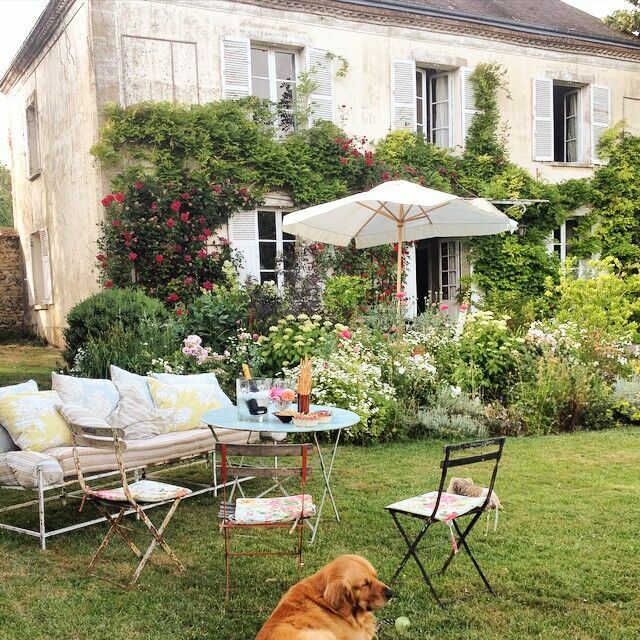 I’ve been a fan of My French Country Home for awhile now. Love her beautiful floral photos and, of course, the two stars…her dogs! I am sure her new book won’t disappoint! Sharon is absolutely a wonderful example of French elegance at it’s best; never going too far with her decorating flair, nor too far with her information; always leaving you wanting a little more. I’m sure her book would be a wonderful example of all that she displays in her blog which I really admire and her friends I would suspect are of the same ilk. My American Girlfriend loaned me this book to read and I want it for my library. Love everything Sharon writes. She really has interesting girlfriends. This podcast was fantastic timing for me! As I start looking around my house to clear it up after a long winter I need help with my “editing eye”. I found my inspiration for getting my house to a more pared down version. I loved Sharon talking about living your passion. I like that her definition includes having a direction and a result. Simply stunning! Your blog has been an inspiration for me for years. Can’t wait to dive into MFCH as well. I’ve been following Sharon’s blog for quite some time and am always inspired. Here photos are stunning and I have to thank her for introducing me to your website which I like very much. So you now have a new fan! Would love to win Sharon’s book, but even if I don’t, I now have your blog to enjoy! I will be sure to thank her! Thank you for your comment. 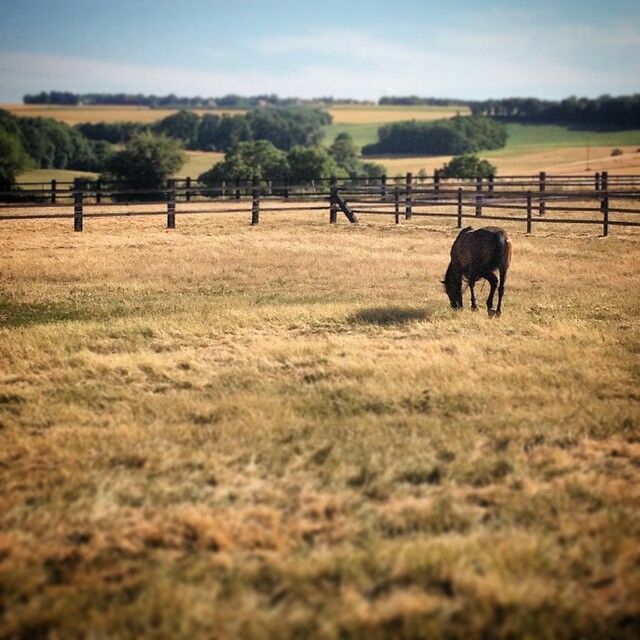 I so love seeing the French countryside and love Sharon’s blog. Thank you for the opportunity to win her book and to visit your beautiful blog. I stumbled upon your podcast a few months ago– it was exactly what I didn’t know I was looking for! Thank you for bringing your gift of simple luxury to a gal in Iowa! Gorgeous photos! Would love to read this book. I’ve purchased the electronic version on Sharon’s book but how lovely it would be to to hold it in one’s hands? 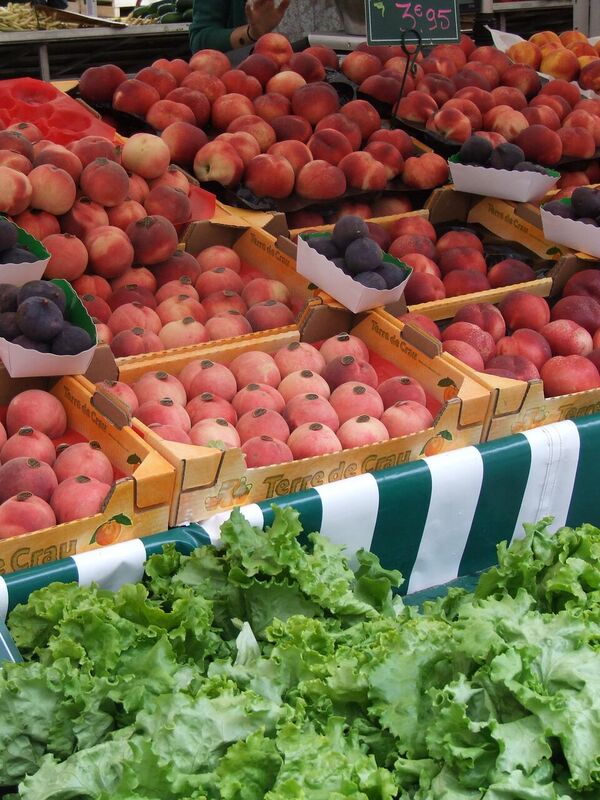 Oh how I would love to stroll through the French countryside and markets with a few very close friends! What a delicious book, and a wonderful new blog to follow. Thanks Shannon! My two favorite blogs in one! I love the lifestyle that both of you exemplify. Simple, luxurious and beautiful! Would love a copy of the book. You transport us to a magical place with every post. Thank you! Can’t wait to relish in your new book. 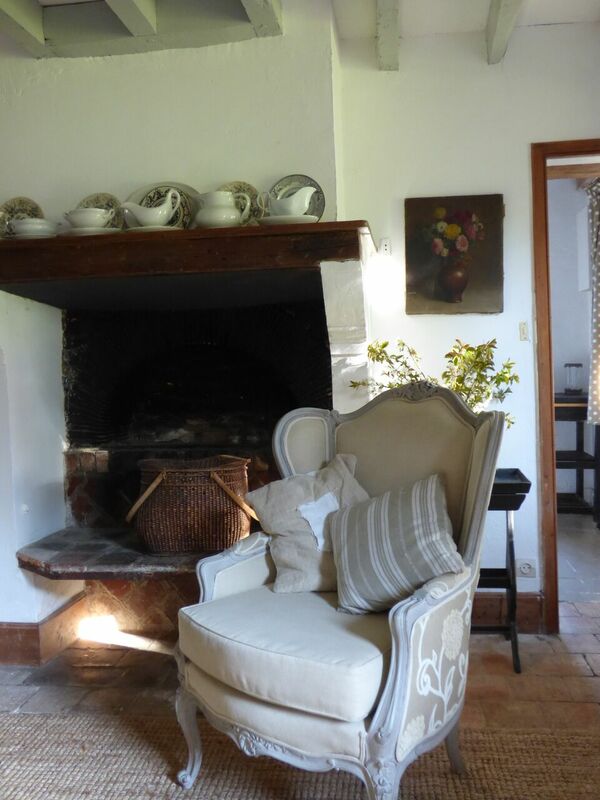 I really love both blogs: Simply Luxurious Living and My French Country Home. I have been following you both for about 3 years since I first discovered them. I love the way you both inspire us all to live a life that is possible. I know that what you both share is a lifestyle that is authentically possible for all of us to experience. My husband is French and I visit France every year to visit friends and family. So I have had a peek at everyday living in France and it is based on surrounding yourself with beauty and that it doesn’t have to be out of reach to most of us. Please continue because we all do need to learn how we can incorporate a joy of living and finding beauty in the simple and everyday! Simply Luxurious Life has been a beautiful escape. A wonderful reminder to live each momenot now. Thrilled to find anther blog just as beautiful! Wonderful interview. …….thank you so much for the pleasure you give us and for the chance to win Sharon’s book. Can’t wait to see her new book! Love the chance to peek into her girlfriends’ homes to see how they really live day-to-day. Love your blog!! 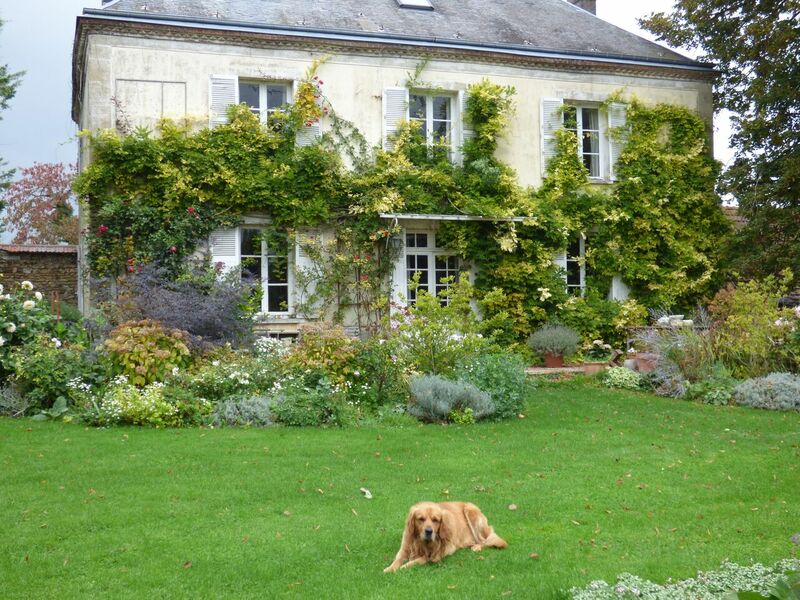 I love both the Simple Luxurious Life concept and the French Chateau lifestyle. Both are great mindsets! Thank you for sharing and bringing to us the dream life that we can bring ‘home’ any day. I’ve been loving both blogs for quite some time now, so it’s a great pleasure hearing you both:) and congratulations on your first international interview Shannon! Good Morning form Arizona! I look forward to every post of Sharon’s and now I’ve found another wonderful blog. Thank you for the great podcast! Here I sit at my kitchen table, on a brilliantly blue and beautiful late afternoon in the Loir-et-Cher, listening to back issues of your blog, Shannon. I did, at some point-in-time, find Sharon and her blog through The Simply Luxiourous Life. Co-incidently, I just finished listening to your blog on the power of the spoken word. Sharon has such a gorgeous voice! The purchase of our Loir-et-Cher home closed in April of 2016, and I (we) (my husband and I) simply lost ourselves in the work of redoing this place. So many past podcasts to catch up on! Which, frankly I am thoroughly enjoying! Congratulations! What an amazing dream come true and to share it together, magical. Thank you for sharing.